First steps call for something specially soft. 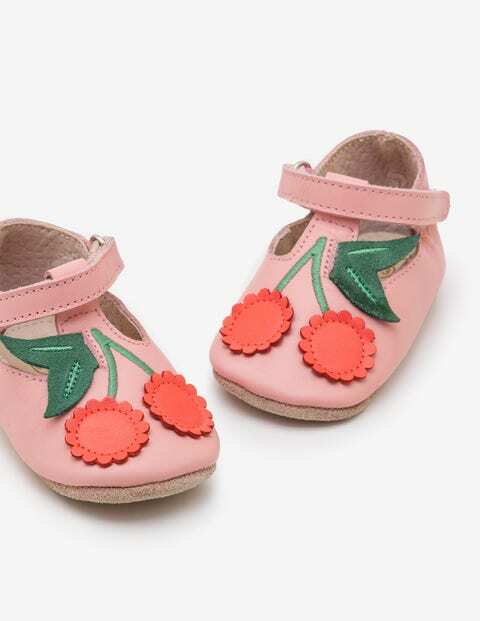 These teeny leather shoes have a super-supple lining and a touch-and-close fastening (because tots can be expert wrigglers). Delicate scalloped edges and standout stitched detailing make the vintage styling even more adorable. To really finish them off, there's not one but two cherries on top.